Egg hunts, Easter crafts and loads of fun! Here's how to celebrate Easter in Gothenburg. Equestrian sports, cherry blossoms and a week of beer! There's plenty to do in Gothenburg this coming month. Explore beyond the city! Here are six places well worth a visit. Colour explosions and Swedish fika outdoors! Gothenburg is the largest non-capital in the Nordics and located on the beautiful west coast of Sweden. Explore our beautiful coastal city, famous for Volvo, magical islands and some of the best seafood in the world. 10 things you need to know before you go. Seafood, Swedish fika and craft beer is on the menu. Concerts, theatre performances, hockey or football games, fairs and exhibitions. The list of what's happening around town seems never-ending. Exciting museums, interesting sights, lots of activities and an amazing archipelago. Discover Gothenburg! Exciting museums, shopping, lots of activities and an amazing archipelago. Discover Gothenburg! World class restaurants, experimental food rebels, trendy bars and a rolling armada of food trucks – discover Gothenburg's amazing cafés, bars and restaurants. You haven’t really been to Sweden until you’ve had a “fika”. Shrimps, cod, lobster and much more. A guide to vegan restaurants in Gothenburg. Enjoy the green and leafy parks in the city centre, explore the myriads of islands in the archipelago or visit historic forts and castles. There are also plenty of outdoor adventures to discover. Welcome to a green and grand city. Famous crags, breathtaking views and challenging indoor climbing walls. Gothenburg has an established fashion design scene and many local brands. Stroll around town and explore small indie shops, international stores and large malls. Great fashion and shopping under one roof. Experience sunny summer, amazing autumn and cosy christmas in Gothenburg. Christmas City Gothenburg, one of Scandinavia's most popular Christmas destinations, takes place between November 29 and January 6. Gothenburg is really the perfect autumn escape. The city hosts a broad variation of activities for all ages and interests. Check out some of the new exhibitions, visit the farmer’s market in Haga and stroll down the cosy shopping streets. Crisp autumn and winter days are perfect for enjoying a relaxed atmosphere, while the summer season is busier with more visitors. However, late spring and summer are particularly easy to love. It doesn’t matter if you’re in town for a romantic getaway, a family holiday or a conference – there are accommodation options to suit all the above and more. Gothenburg is also one of Europe's most sustainable hotel cities. Hotels in the event district. Campsites in and around Gothenburg. Everything from cool design to luxury – or simply just great value. Plan your school trip to Gothenburg. View offers here. For the third year in a row, Gothenburg is the world’s leading sustainable destination. 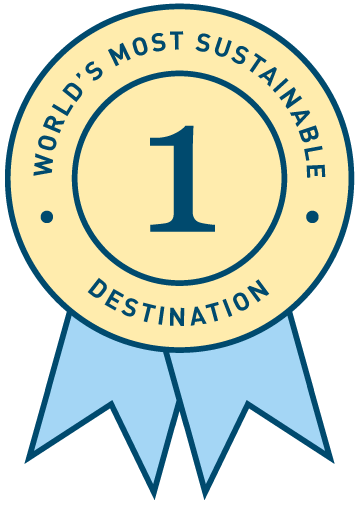 Global Destination Sustainability Index is an international ranking of the sustainability performance of different destinations.